Barbara Sinclair is a holistic health practitioner with a passion for Ayurveda – the ancient mind/body system of health and longevity that originated in India. A lifelong visual artist, Barbara woke up one morning in her late 40s with pain throughout her body. A diagnosis of fibromyalgia eventually led her to seek more holistic methods of healing – all while looking within for clues as to why this had happened. For several years, Barbara was guided to explore all kinds of alternative practices. It was with fierce intent, a positive attitude, and help from some gifted healers that her body slowly began to repair itself. In the process of healing, Barbara fell head-over-heels in love with Ayurveda, a Sanskrit word which means “the knowledge of life”. She now lives her daily life by its principles and its deep connection with Nature and the five elements, sharing its brilliance with others. Meditation and energy healing, with their direct connection to Ayurveda, were also key players in her recovery. They helped her to access an inner place of peace and unlock deeply buried pain. Today, Barbara is free from the symptoms of fibromyalgia and is grateful for the powerful lessons it taught her. Like many others who have managed to overcome a debilitating condition, it enriched her life, rather than destroyed it. Barbara’s greatest joy now is to share the fruits of her own healing journey in hopes that it might spark a healing journey for others. Barbara received her Ayurveda training from Wise Earth Ayurveda, the first school of Ayurveda teachings in the US. She is also a certified holistic health counselor and energy healer. 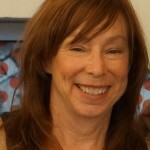 For a complete list of services, or to read Barbara’s blog, please visit her website at www.barbarasinclair.com. Some of the Most Powerful Energy Healing Techniques Are Already in Our Toolbox! I’ve been a student and practitioner of energy healing for several years. I’ve learned so many different techniques and modalities that I’ve lost count. I love both giving energy healing and receiving it. A session with a trustworthy healer can absolutely help shift energies and guide us to living a more balanced life. But lately, I’ve come to realize that some of the most powerful energy healing techniques are already in our toolbox, just waiting for us to dig in. Cleanses seem trendy these days, but in reality they’ve been done for thousands of years. Ayurveda considers regular detoxing an essential part of maintaining a healthy mind, body and spirit. Is It Really That Important to Be an Early Riser, and Who Deemed It So? When Did We Start to Fear Mother Nature’s Medicine? I don’t ever remember being given herbal remedies when I was growing up. Instead, it was the dreaded pink Pepto Bismol, or aspirin, or the new kid on the block, Tylenol. Nowadays drugs have become the norm, are advertised on TV but you can’t make a statement or claim that a herb, food, or plant can possibly cure an illness. I guess my mother didn’t have any role models to teach her natural healing and thus, couldn’t pass it along to me. So, when my own children were young, I followed suit, not knowing any better. I gave them antibiotics when the doctor deemed them necessary. Ditto any other prescription or over-the-counter drug. Oh, how I wish I had had a Dr. Aviva Romm-type around when I was younger. 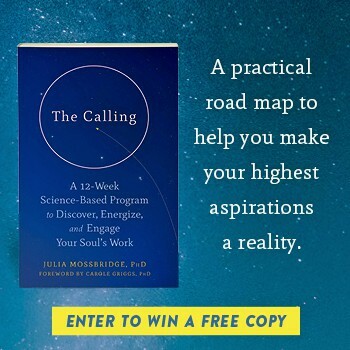 Like a dream that stays with us longer than usual, or a wonderful synchronicity that appears, these messages are gems that can add meaning to our often mundane or challenging life here on earth. I believe getting quiet is the best way to open up to them. You don’t need to be sitting in meditation, although that’s where some of the more profound (or at least interesting) messages have come to me. We scoff to think that a quiet walk in Nature, a leisurely bike ride or a gentle yoga class could keep us healthy and fit. Ayurveda would disagree. I wrote an article a while back called “All Exercise is Not Created Equal”. Please check it out to see how the different doshas are affected by exercise and Ayurveda’s recommendations. Ayurveda teaches that our mouth is not separate from the rest of our body and is in fact, a good indicator of heath in other areas. So, it made perfect sense to me that oil pulling would be beneficial to my general health. The benefits of oil pulling reach far beyond just a clean mouth, however. After You’ve Healed – What Now? Almost every week someone reaches out to me with a fibromyalgia story. They ask “Did you really heal?” Yes, I did. I sense their desperation. Sometimes I feel their fear, hopelessness, depression, anger, frustration. One of Ayurveda’s important teachings is that our body should be properly prepared for whatever season is around the corner. Each season brings with it special challenges for the body (i.e. fat accumulates in the cold winter months, heat accumulates in the hot summer months) and if we take care to cleanse it and feed it the proper foods, we will be rewarded with better health. Why Do We Sometimes Feel So Blue in the Springtime? Spring is a paradoxical season, in some respects. While the rest of Nature bursts forth with new life, some of us humans seem to want to crawl back under the covers, into the cave. Shouldn’t spring bring with it renewed energy and vigor? In the Ayurvedic calendar, spring is Kapha Season. This dosha (physiological force or energy) by nature is cool, damp, slow, heavy, dense, and cloudy. Apply these attributes to someone with a lot of Kapha in their constitution, magnify them because of the season, and you can see why hiding out under the covers seems so desirable. What’s a person to do? Kitchari is Ayurveda’s vegetarian version of chicken soup. It’s great to eat during periods of cleansing, illness, or whenever your digestion needs a break. A perfect food during Kapha Season, kitchari gently helps detoxify our body from the toxins that tend to build up during the winter months. People who know me well know that I don’t like shopping in big places. I don’t like supermarkets or giant hardware stores. I don’t like the bright fluorescent lights or the feeling of excessiveness that prevails. I prefer the farmer’s market, where I can get to know the farmers who grow my food, or the little family-run market and hardware store in my neighborhood. We know each other by name and they’re always glad to try out products that customers suggest. But yesterday I was on the hunt for organic wild blueberries and so I decided to venture into the abyss otherwise known as the American supermarket.